Disney is all about experiencing the magic and living out your childhood dreams. My trip was one of the most fun experiences of my life and everything I did gave me joy. 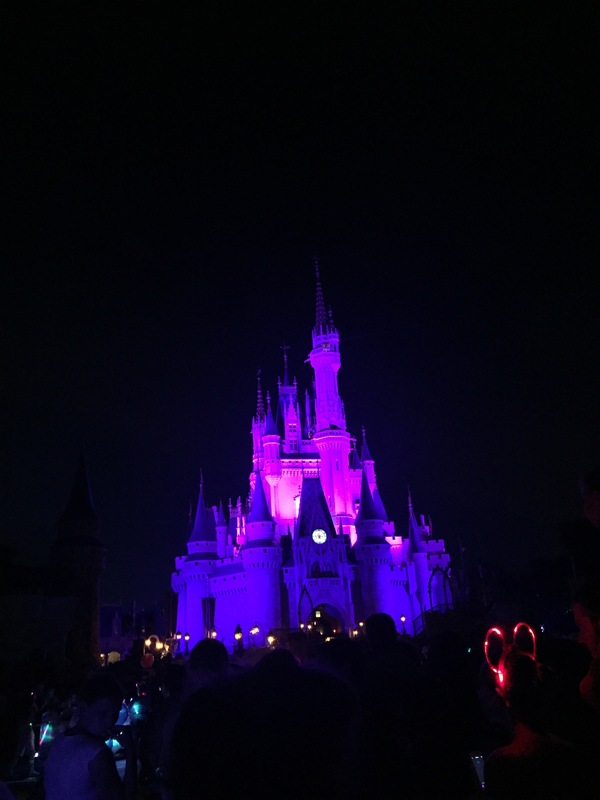 Here are some of my top recommendations of “must dos” while visiting WDW. Gaston is one of the funniest characters you will meet at Disney World. He is located by Gaston’s Tavern in Fantasyland at Magic Kingdom. Make sure to interact with him and take a selfie with him! He will talk about how beautiful and wonderful he is and if you go along with it you’re in for a funny show! Although the ride is only a minute long, you’re in for treat. Going from 0-60 is a rush and the inside of the ride is so cool. Plus, Aerosmith is blasting throughout the whole ride! What could be better? Fantasmic was the high light of my Disney trip and definitely one of my top 3 favorite moments. The water/firework show is absolutely incredible and lasts pretty long as well. It is definitely worth the wait and a must see for both kids and adults alike. I suggest trying to get a fastpass for it, considering how crowded the stadium gets! This one is for all you adults out there. The World Showcase in Epcot is incredible! You can buy drinks from each country showcased while the kids walk around and meet characters/experience some culture. I think the world showcase is incredible because each person that works in a certain country is actually from that country! I met some people from Italy while shopping in the Italian gift shop and it was such a cool experience. Drink Suggestion: the Avocado Margarita in Mexico. There’s a reason why everyone will suggest it to you! If you go to Animal Kingdom this show is a must! The singers and performers are incredible and they include the audience in the show. If you’re lucky, you may even get to participate! This show is absolutely amazing and I would wait in line to see it (which definitely says something for someone who doesn’t even want to wait 5 minutes for a ride). 6. See Cinderella’s castle–at night! Meeting some of the characters in Disney really helps to bring the magic to life! Even at 22 I was still so excited to meet Mickey and the gang. And when I met Rapunzel (my favorite princess) I couldn’t help but be excited! Half of the fun is interacting with these characters so make sure to talk to them! The Food in Disney is kind of over priced but also really good. And honestly, food shaped like Mickey just tastes better too. I never tried the Dole Whip but I hear its amazing. Also, the candy apples are everything. Disney Springs (what used to be Downtown Disney) has SO MUCH to offer. Along with regular stores, restaurants, and night life, they also have a bunch of disney themed stores. World of Disney has pretty much everything you can imagine and there’s even a Christmas store! The interactive show with Belle and her friends is so adorable to watch and fun for the young children who are picked to be a part of it! And, Lumiere looks so real when he talks. I can’t even explain it other than he moves so fluidly that he looks real. It’s so adorable to watch the kid’s faces when they get to be a part of Belle’s story and Belle’s dress is to die for. What are your favorite things to do at Disney? I honestly can’t wait for the day where I can go back and experience the magic again!